A diaper bag is a must-have for any mom and also some dads. Heading out with a baby requires a multitude of gear. Keep it all organized in a bag designed just for that purpose. While the color and style of a diaper bag is a highly personal choice, the type of diaper bag is an area where we can provide guidance. Four types of diaper bags dominate the options: backpack, tote, messenger, and stroller. Like regular backpacks, diaper bag backpacks have two shoulder straps.Tote bags are carried over one shoulder, while messenger bag use a cross-body carry strap. Stroller diaper bags include straps to attach the bag directly to the stroller handle so no one has to carry it. All bags designated as diaper bags contain a variety of pockets and compartment for stashing diapers, wipes, and more. Some also feature insulated bottle pockets. 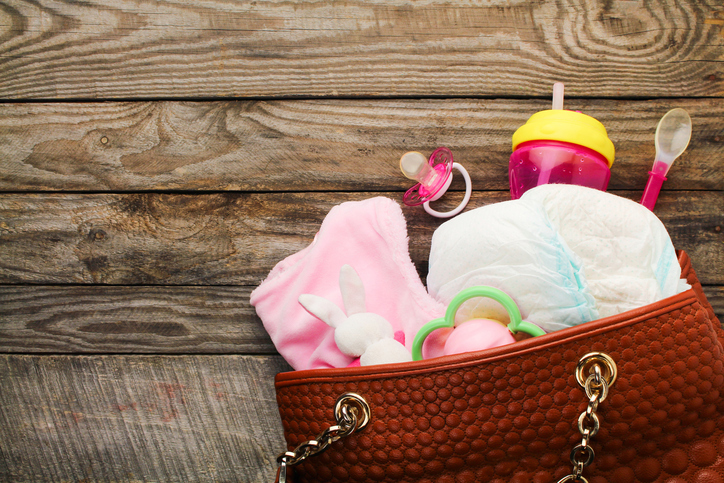 Take a look at these top-selling diaper bags in each of the four categories, and see if there’s one you love. Most of the bags featured here are available in multiple colors and patterns.